Northampton Saints have announced the signing of Western Force front-row Francois van Wyk for the 2017/18 season. The 25-year-old loosehead prop is South African-born and represented his hometown side Western Province having come through the academy set-up in Cape Town. Also educated at the University of Cape Town, Van Wyk made the switch to Perth in 2014 and has played 12 times for the Force in Super Rugby, providing a powerful presence with his 17st 13lb frame. “We’ve been impressed with what we’ve seen from Francois in Super Rugby over the past couple of seasons,” said Northampton Saints director of rugby Jim Mallinder. 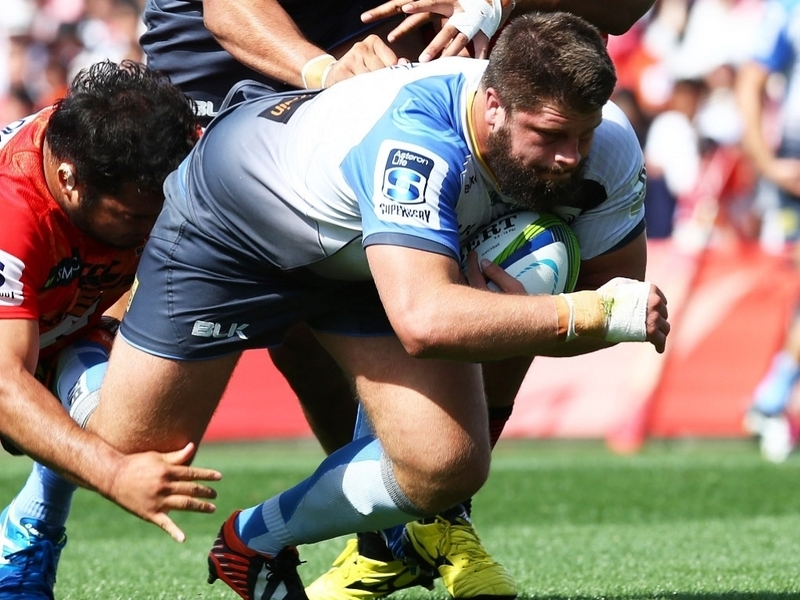 “He’s a strong scrummager and still relatively young for a front row forward. Van Wyk is the Saints’ sixth signing for next season, joining Rob Horne, Cobus Reinach, Piers Francis, Jamal Ford-Robinson and Mitch Eadie in penning deals with the club.